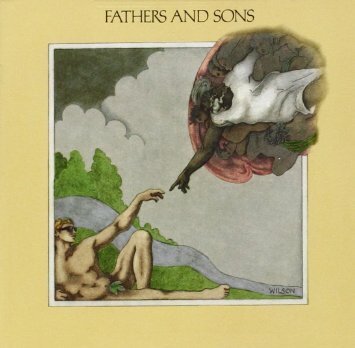 Fathers and Sons is one of the all-time great albums with one of the all-time great album covers. The Fathers and Sons of the title are metaphorical: Muddy Waters (McKinley Morganfield) and Otis Spann were progenitors of the Chicago blues scene. On the album they were joined by Paul Butterfield, Michael Bloomfield, Donald “Duck” Dunn, and Sam Lay, following in their footsteps in one way or another. The recording was originally issued as a double album: the first a set of studio recordings, the second a live set supposedly recorded at the Cosmic Joy-Scout Jamboree in Chicago. The year, after all, was 1969. The album culminates in a riotous rendition of “Got My Mojo Working, part 1” and “Got My Mojo Working, part 2″ (videos below, Buddy Miles on drums). The song embodies expressive form. In it you can hear Mr. Waters working his mojo with a beautiful assist from Paul Butterfield on harmonica. If you’re celebrating Father’s Day today, this won’t hurt one bit. Part 1 leaves you wanting more. Part 2 delivers it.